While the focus of the Culkin School is to teach the traditions of Irish dance, many of our students also participate in the competitive world of Irish dancing. The Culkin School has seen a number of successful dancers and teams compete and place at the regional and national championship level, including multiple Southern Region solo and team championships. 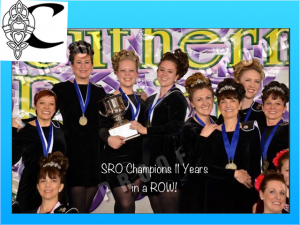 We are incredibly proud of our 85% recall rate at our 2015 Oireachtas resulting in 22 North American Championship qualifiers, 10 World Championship qualifiers and 5 top five dancers. Our dancers have also competed and placed at the international level, participating in the Oireachtas Rince na h’Éireann (All Irelands Championships) and the Oireachtas Rince na Cruinne (World Championships).